Graziano has a goofy nickname—“Toast”—and a personality to match. In his competitive show days, he won many national awards as an equitation mount. Today, he is very careful; he would do anything to keep his rider out of trouble. 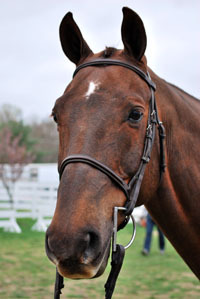 Definitely the class clown of our barn, Toast has a goofy demeanor and is easily distracted. Antics aside, he is an invaluable teacher and an incredible competitor. Horses and humans alike will be drawn in by his magnetic personality. Toast is the best friend you haven’t yet met.